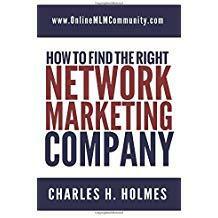 Have you ever heard that network marketing is personal development with a product attached to it? If you’ve been around anyone in MLM you probably have! My family and I had the privilege of hearing John C. Maxwell speak in our community one day this past week. From the moment I heard he would be in town I was excited! I knew this was a great opportunity for my teenage son to be introduced to someone who had made such a positive impact on my life. A way to reinforce what I had been saying all along. For the next hour and a half John C. Maxwell had his audience totally captivated. As any good speaker does, he started by sharing a story. He had us fully engaged, laughing and wanting to hear more. So, without further ado, the highlights of a night with John C. Maxwell sharing his thoughts on intentional living. His thoughts will be in bold, my thoughts following his. 5 way to increase your success. Deliberate – well thought out. Consistent – well lived out. Willful – well chosen path. Growth – don’t just accept life. Talent must be complimented by good choices. The thoughts behind intentional living is that we all have a choice. We may not all have talent in the areas we desire, but with patience and discipline we can move closer to our goals as well as improve our talents. Love what you do. It’s that simple. If you truly love what you do, it won’t ever seem like work. If it doesn’t seem like work, you will find joy in what you do. Live till you die. There are so many people in this world that are not really living, simply existing. Don’t let that be you…we were put on earth to live! You have to work for happiness but have to rid self of destructive habits. Everyone seeks happiness in life. It’s the little things in life that get in our way of finding it. Surround yourself with people who are on your same path to success. Value, believe in, and love people. Very basic thoughts that if practiced everyday, the world would be a better place. Most people would love to have someone feel this way about them. Don’t have dreams, have goals. We all start out life with a dream. It’s up to us to see that our dreams become reality, one goal at a time. Intentional living moves us from good intentions to good actions. Have you ever thought, “I should have ____” ? The world is full of good intentions. What we need more of is good actions! When you are living intentionally, you are able to take your good thoughts and put them into action. Don’t get ready to get ready. Do you know anyone like this? Yourself, maybe? If you do, it’s OK! The beautiful thing about life is, once you recognize a problem, you can take action to solve it. Maximize the day! Make that list, do the most challenging things first, and know that what you are doing makes a difference. No secret to success, what you do daily defines you. Need I say more? We all have a choice, choose wisely. Culture is more important than vision. I think it is important to have both. You may have a wonderful vision but if you create a culture of negativity and division you will never succeed with your vision. Create the life you truly desire. Be bigger on the inside than outside. Be humble. Know that you cannot make it in this world alone and give thanks every day for the journey you are on. Recognize those that have helped you along the way and always give more than you take. Teach what we know, produce what we are. It’s easy to recite something you know. When you embrace your knowledge, you open the door to total life changes. Have no doubt, people notice. Know you’re growing when what you do yesterday doesn’t satisfy you. If you are on the path of intentional living, you know what this means. You are no longer satisfied with the mundane daily grind, you are on a path to significance. There are two great days in your life, when you were born and when you find out why. When you find out your purpose in life, you can’t help but feel alive! Be intentional about significance. This really hit home for me. When I gave birth to my first child, my whole life changed. I knew then that the choices I made in life really mattered. I committed to being the best person I could be and that sometimes meant I had to leave things and people that no longer served my highest good. Selfish people aren’t living a significant life, they must overcome selfishness to do so. Have you ever known someone who is selfish? They only think about themselves and what’s in it for them. People who do that, think small. To live a significant life, one must think of how their actions will affect others. Consistency compounds. Do one thing today that will make a positive difference in your life or the life of another. What do I cry about? The 5 essentials to living intentional everyday. Unconditional love for others, value others even if you think people aren’t of value. Think of ways to increase value to others. Encourage others to add value to others. Significance trumps success every time. I could see the difference in my son after spending just a couple of hours listening to John’s lecture. All the values that I have worked so hard instilling just clicked. He went to school the next day with confidence in his step and a new outlook on life. If these words of wisdom can have that impact on a 17 year old, what kind of impact will they have on you? Start today, live that intentional life!